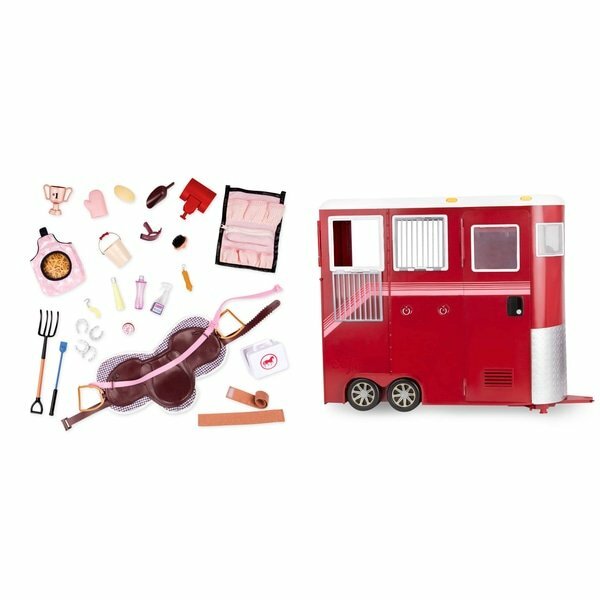 The Our Generation Mane Attraction Horse Trailer Set has everything you need! 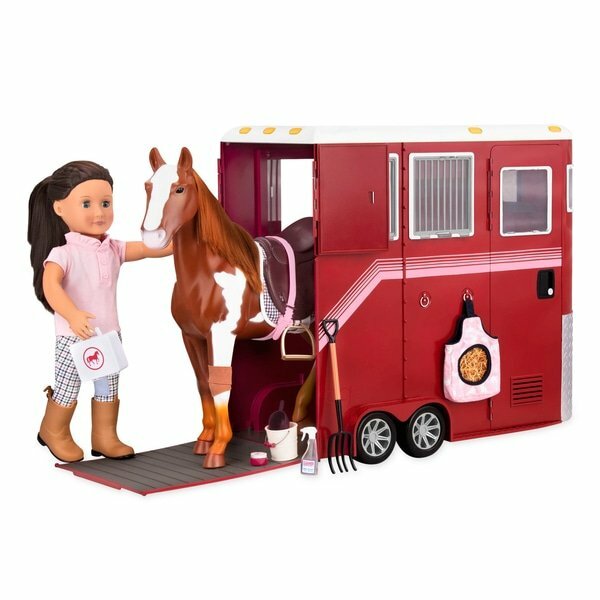 This deluxe trailer is packed with equestrian accessories for your Our Generation horse, sold separately. 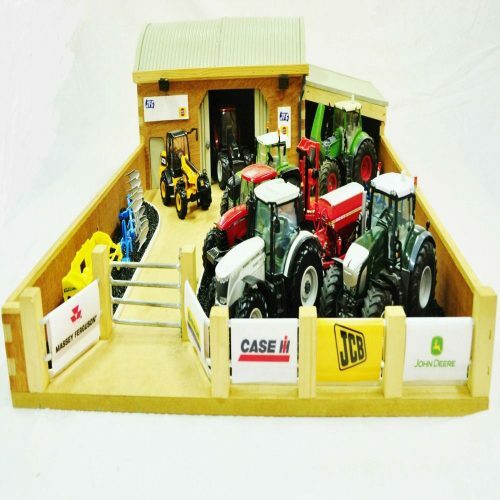 The Our Generation Mane Attraction Horse Trailer Set has everything you need! 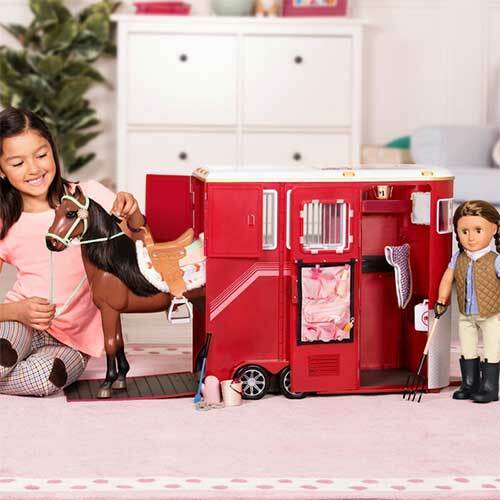 This deluxe trailer is packed with equestrian accessories for your Our Generation horse, sold separately. Whether your horse loves racing, dressage, or just showing off, they can travel in comfort with the Our Generation Mane Attraction Horse Trailer Set. 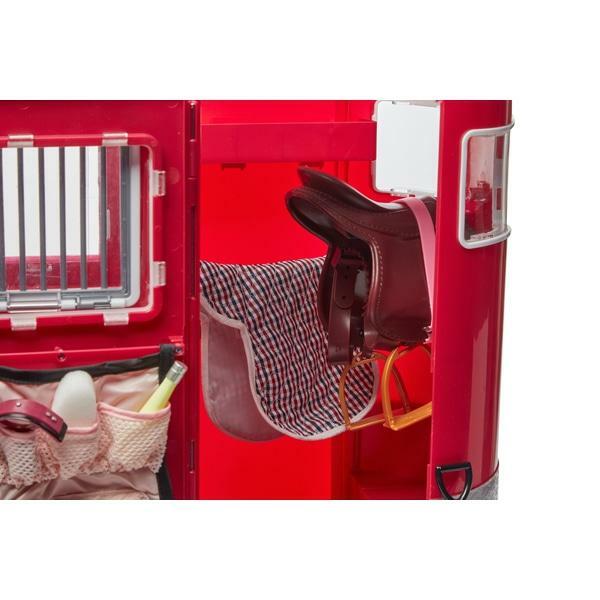 This stylish trailer comes equipped with an English saddle and saddle blanket, as well as a collection of horse care products. 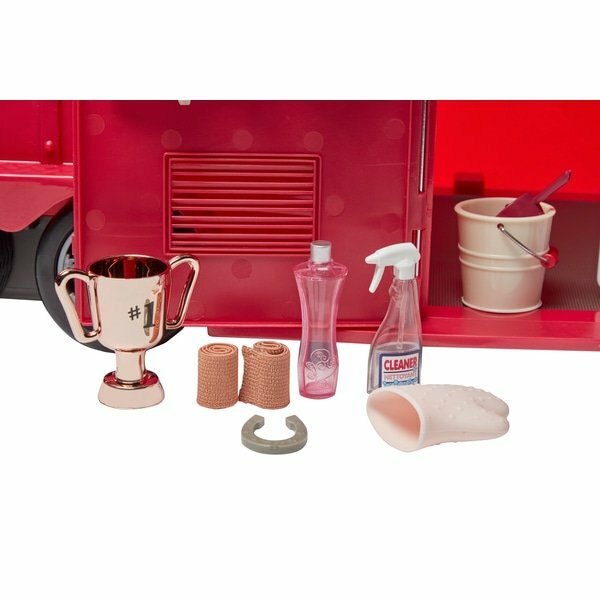 Your Our Generation dolls can take good care of their equestrian friends with grooming and healthcare accessories from first aid kit and hoof pick to brush, grooming mitten and sponge. 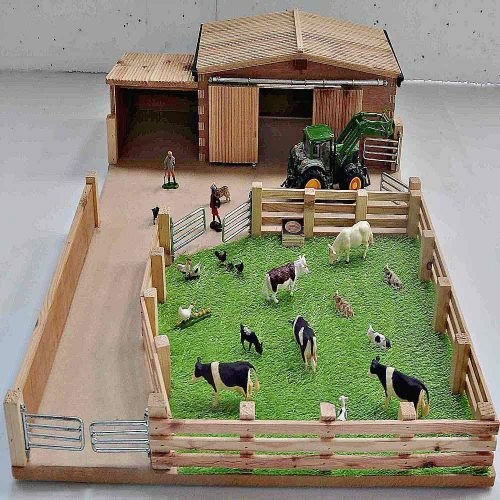 The Our Generation Mane Attraction Horse Trailer Set has plenty of room inside for an Our Generation horse and foal. 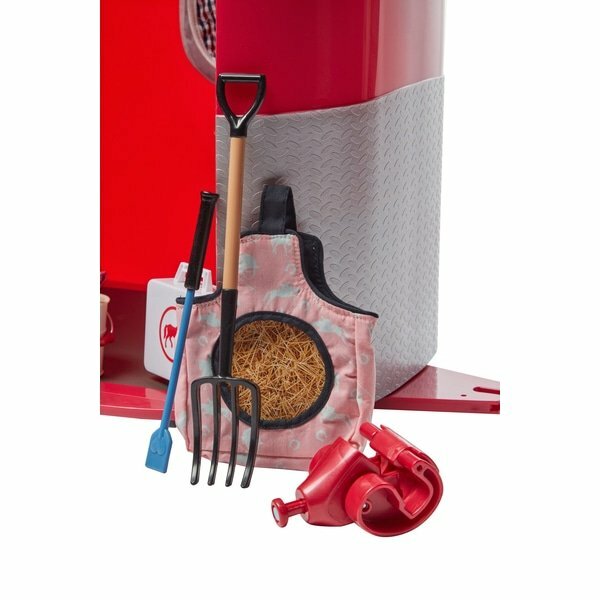 This sleek travelling companion comes with a hay bag and bucket to keep your horses well fed and watered on long journeys, as well as a scoop and rake for mucking out the trailer. 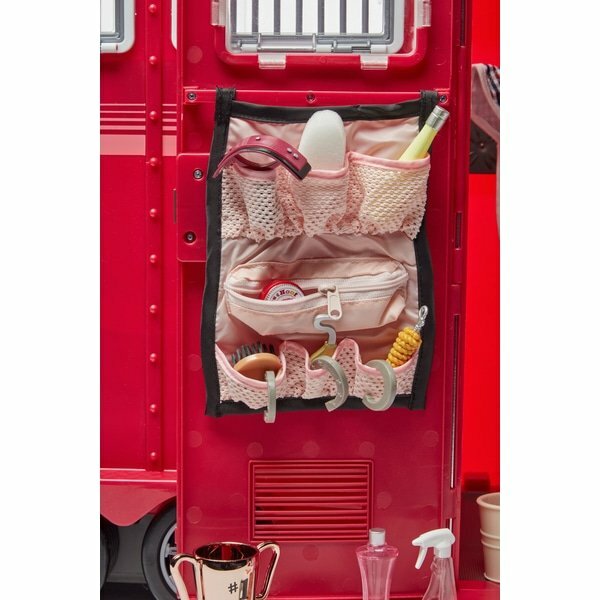 The Our Generation Mane Attraction Horse Trailer Set has a shelf, hooks, a hanging accessory caddy and a bottom storage compartment, offering lots of ways to keep your horse’s essentials organised. 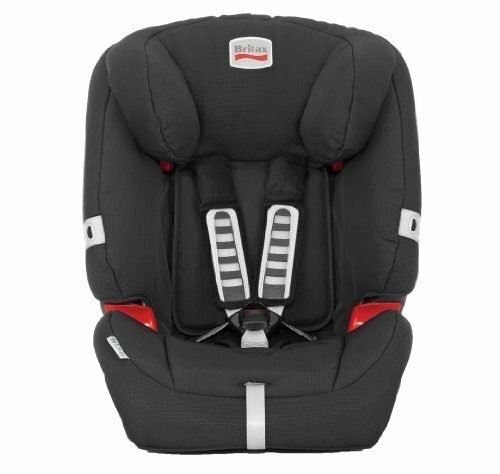 There’s even a fold down rack for the saddle! When you reach your destination, you’ll have a winner’s cup ready for your horse.